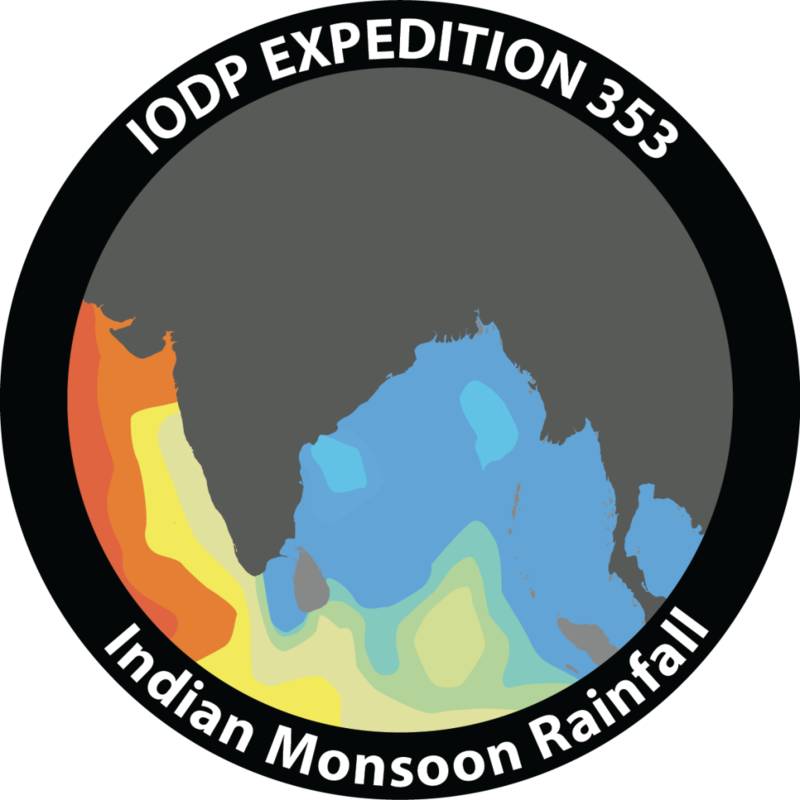 By studying the foraminifera in the sediment, scientists uncovered the mysteries of the past climate and changes in monsoon activity. 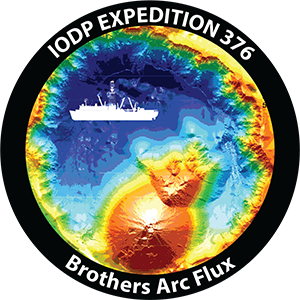 By installing three subseafloor observatories (“CORKs”) into the ocean crust, IODP scientists gained new information that help to understand what life is like below the ocean floor. 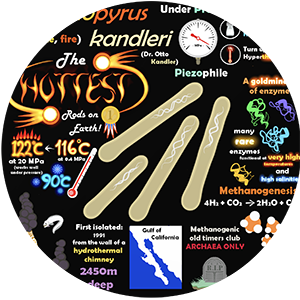 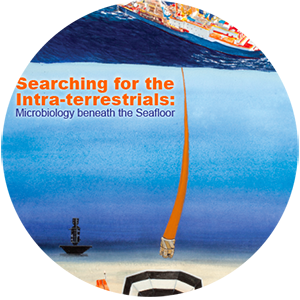 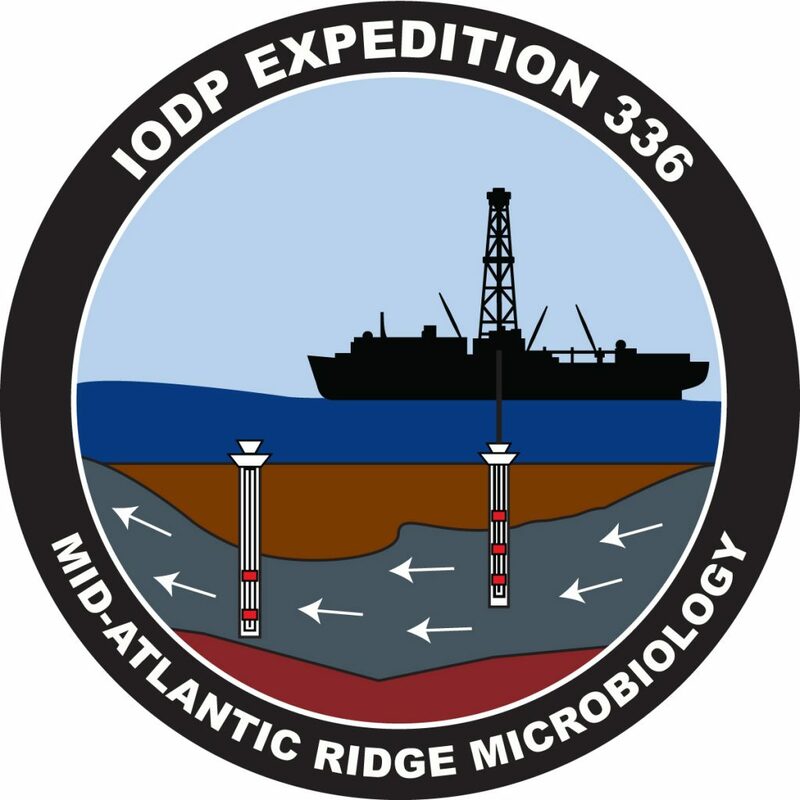 Scientists penetrated a total of 630 m at seven different drill sites to define the physical and chemical limits of subseafloor microbial life in tectonic and oceanographic settings not yet explored. 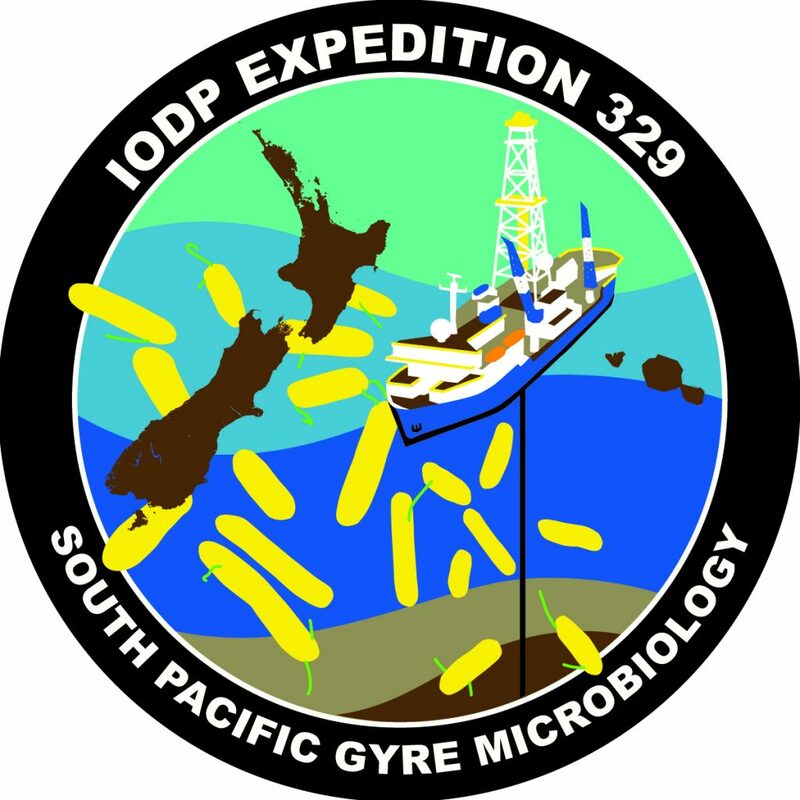 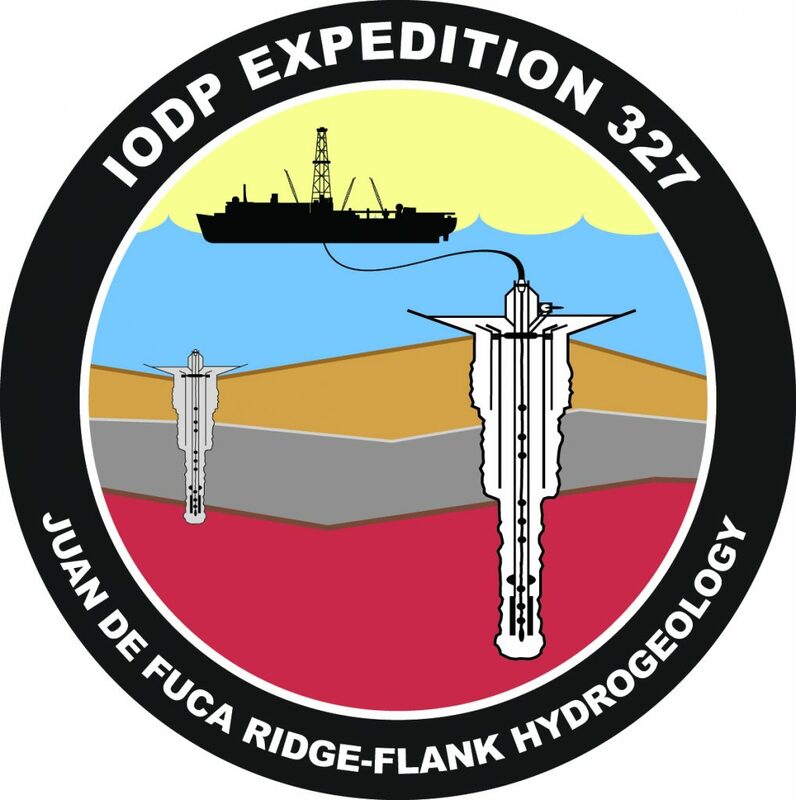 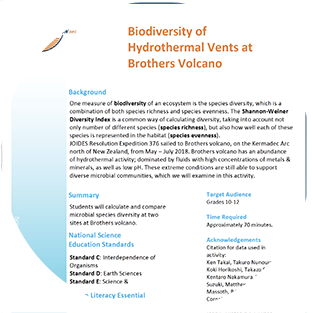 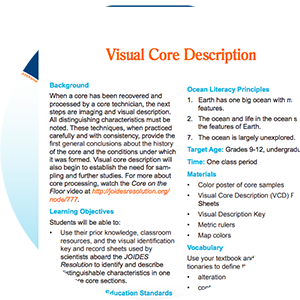 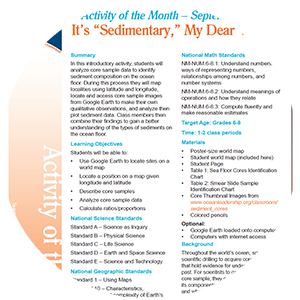 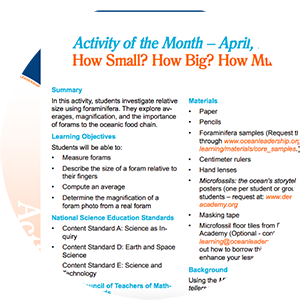 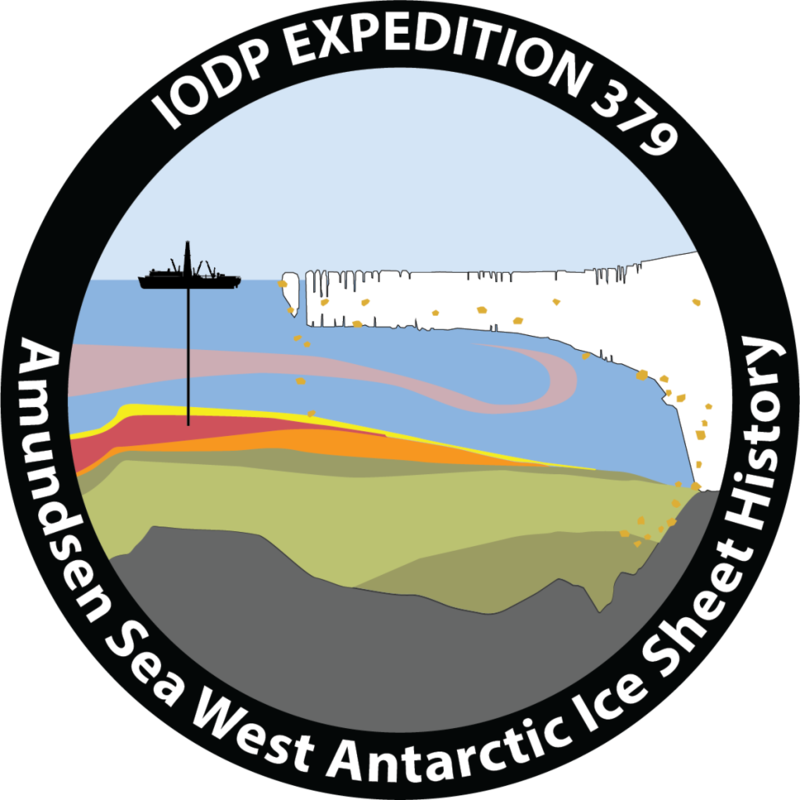 An international education and outreach program developed tools and techniques that facilitate the communication of exciting scientific drilling results to a broad audience, built educational curricula, and created media products that will help achieve critical outreach goals. 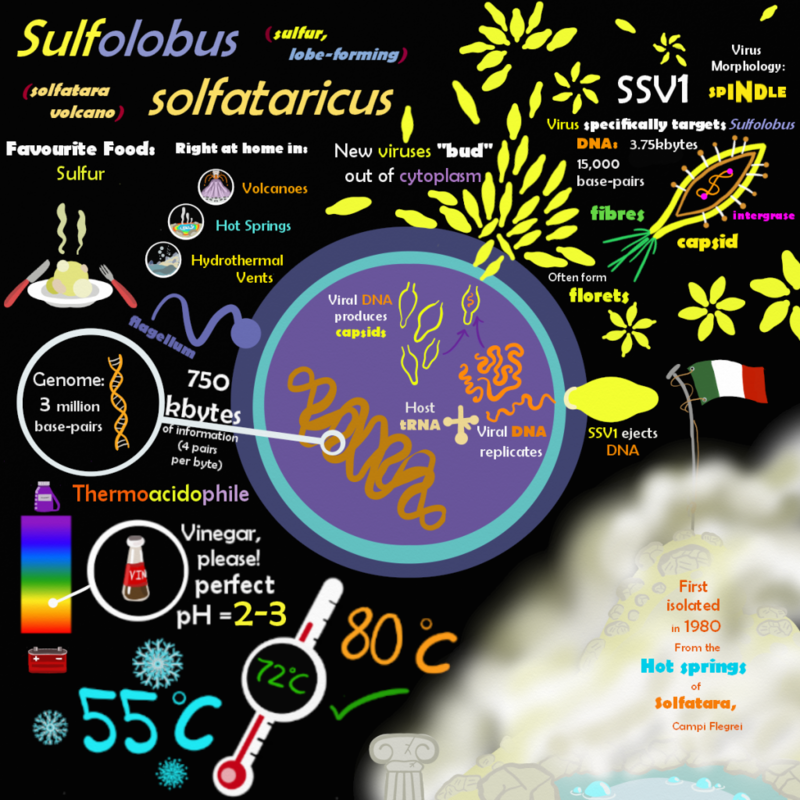 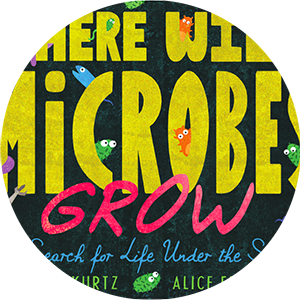 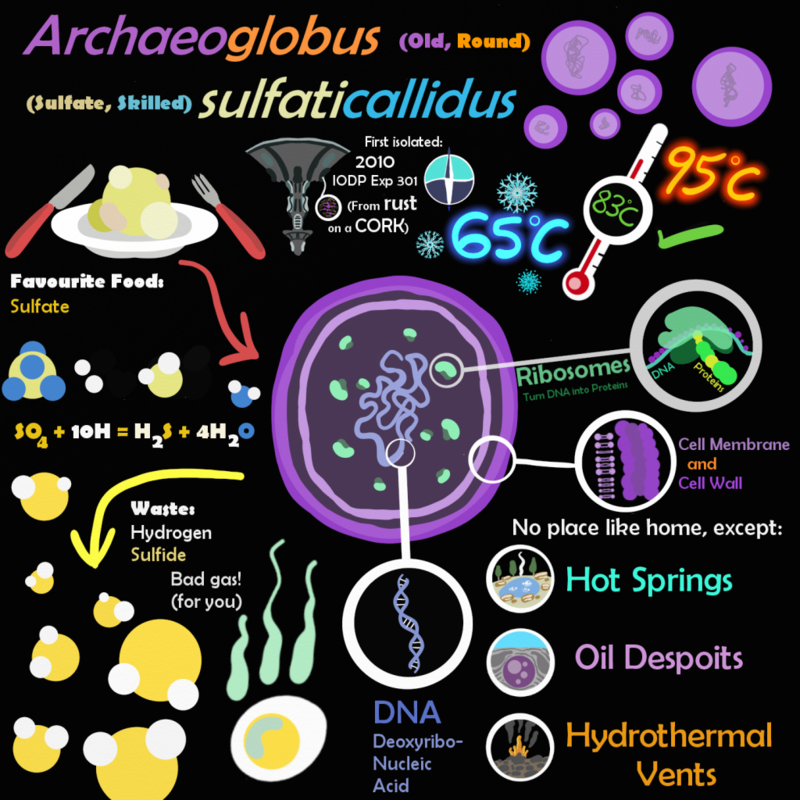 How to download the ebook: For iPads and Macs: Where Wild Microbes Grow was designed specifically to fit on an iPad screen…. 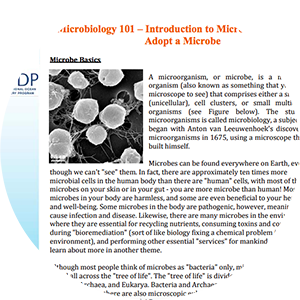 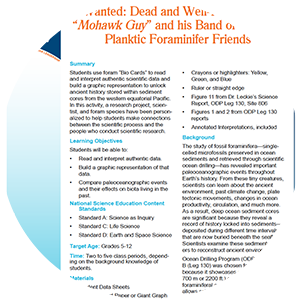 Present students with this data set of microbial phyla from the deep biosphere and guide them to identify patterns then form and test multiple hypotheses about the questions they generate. 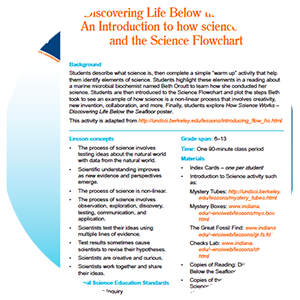 Then they reflect on the elements of "doing science" they experienced and use the Science Flow Chart to document the process they engaged in and share what they would do next. 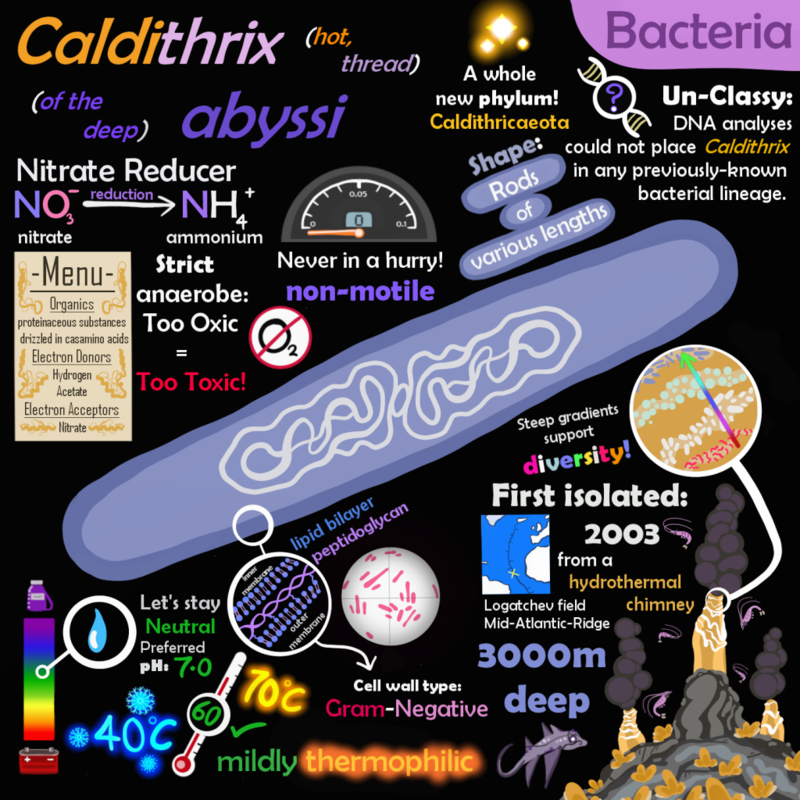 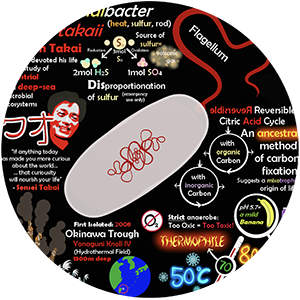 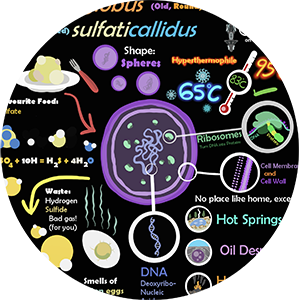 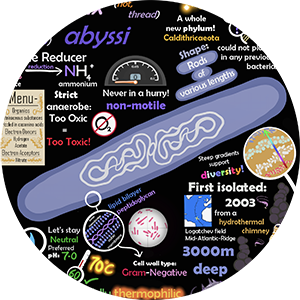 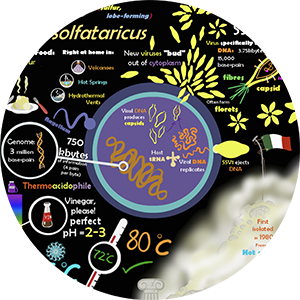 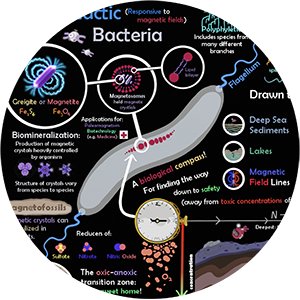 Students highlight these elements in a reading about a marine microbial biochemist named Beth Orcutt to learn how she conducted her science. 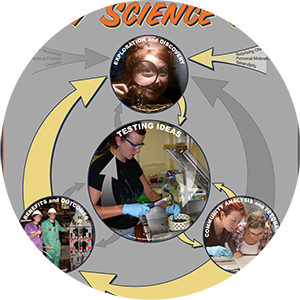 Students are then introduced to the Science Flowchart and plot the steps Beth took to see an example of how science is a non-linear process that involves creativity, new invention, collaboration, and more. 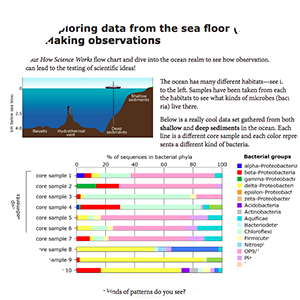 In this activity, students use Lego blocks to learn one method microbiologists use, called Fluorescence In-Situ Hybridization (FISH), to “tag,” identify, and study microbial diversity found deep below the sea floor. 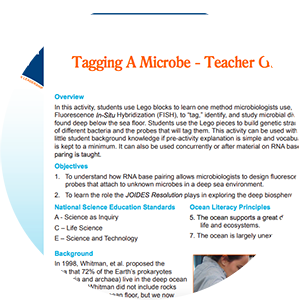 Students use the Lego pieces to build genetic strands of different bacteria and the probes that will tag them.